Emilio Aguinaldo was born on March 22, 1869, in Kawit, Cavite. He was the seventh of eight children. His parents were of Chinese and Tagalog descents. His father, Carlos, died when Aguinaldo was just nine years old. Widowed, his mother, Trinidad, sent him to attend public school in Manila. Having had to cut his studies short at the Colegio de San Juan de Letran due to a cholera outbreak, Aguinaldo returned home to Kawit, where he developed a growing awareness of Filipino frustration with Spanish colonial rule. While serving as the head of barter in Manila, he joined the Pilar Lodge chapter of the Freemasonry in 1895. The Freemasonry was a government and church-banned resistance group. 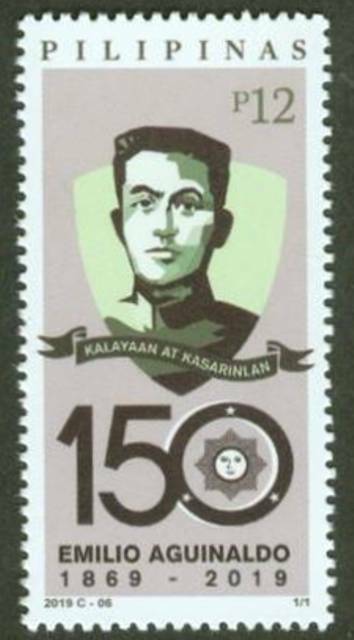 It was through his role as municipal captain of this fraternity that Aguinaldo met Andres Bonifacio, a key figure in the fight to overthrow Spanish rule. Independence From Spain. Eager to fight for the cause of Philippine independence, in 1895 Aguinaldo took up with a secret society of revolutionaries headed by fellow lodge member Andres Bonifacio. When a rival faction executed Bonifacio in 1897, Aguinaldo assumed total leadership of the revolution against Spain. By December 1897, Aguinaldo had managed to reach the Truce of Biak-na-Bato with Spain. He and his rebels agreed to a surrendering of arms and accepted exile to Hong Kong in exchange for amnesty, indemnity and liberal reform. However, neither side kept up their end of the bargain. The Spanish government did not deliver in full all that was promised, and the rebels did not truly surrender arms. In fact, Aguinaldo's revolutionaries used some of Spain's financial compensation to purchase additional arms for the resistance. From Hong Kong, Aguinaldo also made arrangements to assist Americans fighting against Spain in the Spanish-American War. As neither peace nor independence had been achieved, in 1898 Aguinaldo returned to the Philippines to resume his rebellion against Spanish rule. Back in Cavite, after meeting with the Malolos Congress and drafting a constitution for a new republic, on June 12, 1898, Aguinaldo at last declared Philippine independence. 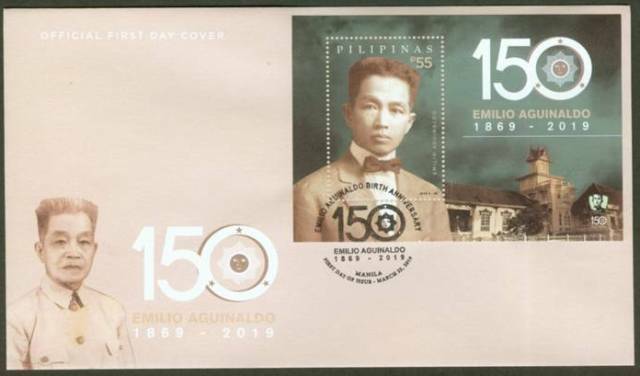 Announced from his hometown of Kawit, Aguinaldo's proclamation put an end to four centuries of Philippine oppression under Spanish Colonial rule. 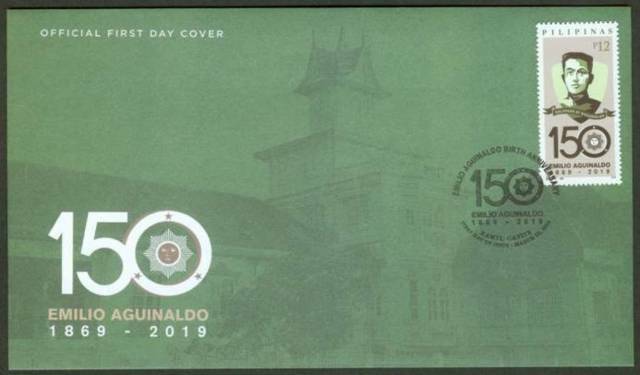 In January of the following year, dressed in a white suit at Barasoain Church in Malolos City, Aguinaldo was sworn in as the first president of the new, self-governed Philippine republic. Philippine-American War. The United States, however, was not eager to accept the Philippines' new government. While the United States and Spain had been fighting the Spanish-American War, the Philippines had been ceded by Spain to the United States in the Treaty of Paris in December 1898. Just two weeks after Aguinaldo's inauguration, an American sentry killed a Philippine soldier stationed at the San Juan Bridge, in a gesture of resistance against the newfound Philippine independence. On February 4, 1899, the Philippine-American War exploded into action. Aguinaldo's revolutionaries quickly resorted to guerilla tactics, resulting in one of the bloodiest wars in American history, but in little direct progress for Aguinaldo and his cause. Concerning the apparent futility of his efforts in war, Aguinaldo said, "I saw my own soldiers die without affecting future events." After three years at war, Aguinaldo was captured by American General Frederick Funston on March 23, 1901. After swearing an oath of allegiance to the United States, on April 19, 1901, Aguinaldo officially declared peace with the United States. By this time, the United States was ready to support limited Philippine independence. It wasn't until 1946 that the Philippines would have absolute control of its own sovereignty. Aguinaldo retreated to a private life as a farmer but never forgot the men who fought alongside him. In their honor, he would later establish the Veterans of the Revolution, an organization that arranged their pensions, as well as affordable payment plans for land purchases. 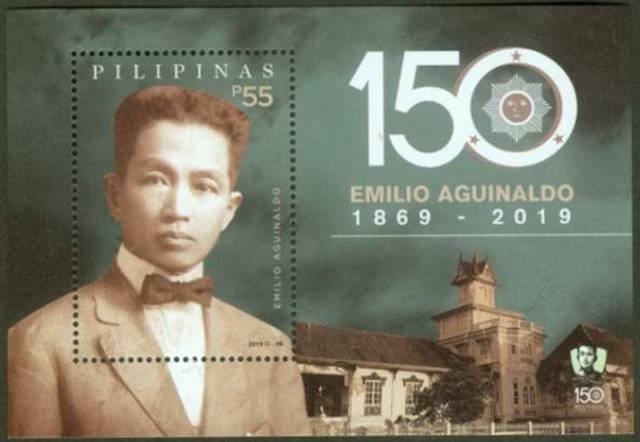 Emilio Aguinaldo died of a heart attack at Veterans Memorial Hospital in Quezon City, Philippines, on February 6, 1964, at the age of 94. His private land and mansion, which he had donated the prior year, continue to serve as a shrine to both the revolution for Philippine independence and the revolutionary himself.